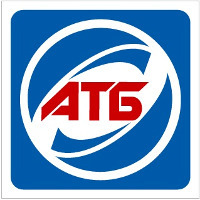 ATB is the largest retail chain in Ukraine, established in 1993 in Dnepropetrovsk. In 1998 ATB was reorganized into self-service stores. Currently ATB stores operate on a "softdiscounter" basis, offering approximately 3500 products. ATB currently has more than 900 stores in 200 Ukrainian cities. What distinguishes the ATB chain is the prices lower by 10-15 percent. From average prices in other stores. One of the main goals of the company is the continuous development of Marks Own. ATB has experience in importing fresh fruits and vegetables from countries like Turkey, Egypt, Netherlands, Poland, Spain, Italy, China, Argentina. The origins of the company date back to 1992. In December 2010, the first of the five discount stores of the brand was created. 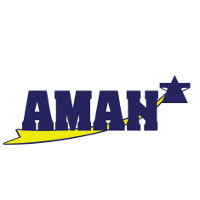 In June 2012, Aman took over 30 "SOS Market" stores. Currently, the chain has more than 120 stores in Serbia. Brněnka retail chain has existed since 1997, but the first store of that name was opened in 1992. The emergence of this franchise chain was a local response to the wave of foreign arrivals. Currently, the chain has more than 280 retail outlets throughout the Czech Republic. Carrefour started operations in Poland in 1997, opening its first hypermarket in Łódź. At present, Carrefour operates over 800 shops in various formats, including hypermarkets, supermarkets, residential and specialist stores. 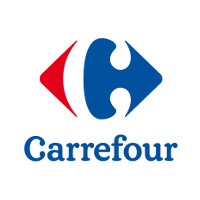 Carrefour also owns and manages shopping centers and petrol station chain. Chata Polska is a chain of general grocery stores dynamically growing since 1997 and present today in seven provinces. According to the Close strategy. Locally. Naturally. Chata Polska's specialty is Polish, local food products and regional products - the brand is known for their best choice. The advantage of Chata Polska are the members of the network, shop owners who sign them with their own image and for the given region transfer taxes from their activities. The reason for pride of Chata Polska are two private labels: Kraina Smaków Chaty Polskiej and Dobra Nasza! 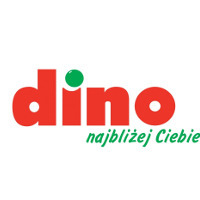 Dino Polska is the fastest growing chainof proximity supermarkets in Poland. Currently, it has 775 stores, mainly located in smaller towns, small and medium cities and on the outskirts of large cities, in locations conveniently available to customers in the following provinces: Wielkopolskie, Dolnośląskie, Lubuskie, Opolskie, Łódzkie, Kujawsko-Pomorskie, Śląskie, Mazowieckie, and Zachodniopomorskie, Świętokrzyskie, Małopolskie and Pomorskie. Eurocash Franczyza is the organizer of the Delikatesy Centrum franchise chain. The Delikatesy Centrum chain currently has over 900 stores. Currently, their greatest concentration is in south-eastern Poland. 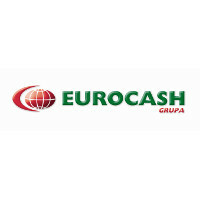 Eurocash Cash & Carry focuses on serving small and medium sized grocery and chemical stores. It offers them an assortment of the most rotating products and is able to satisfy 80% of the target customers' demand. Eurocash Cash & Carry distributes in all provinces in the country. In 2016, 190 warehouses were opened. Eurocash Cash & Carry is a definite leader in the possibility of building numerical distribution. The GIPPO retail chain manages a chain of 11 "GIPPO" hypermarkets located in Minsk, Homel and Mogilev, and 71 Belmarket supermarkets in 13 cities of Belarus. He is the owner of the "Momo" shopping center in Minsk. 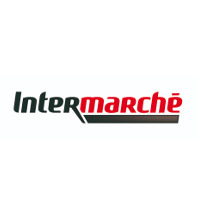 Intermarche is a franchise chain of grocery supermarkets operating within the framework of the Musketeers Group - the largest European association of independent entrepreneurs. There are 230 stores of this brand in Poland throughout Poland. The most modern, self-service gastronomic wholesaler and wholesale office supplies for entrepreneurs and business people. 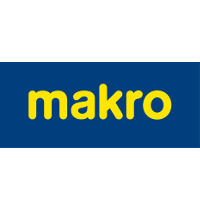 MAKRO is part of METRO Group, one of the world's largest trading companies. Customers are offered the highest quality products at the lowest possible prices. 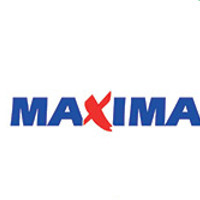 Maxima Group, founded in 2007, is the largest Lithuanian company in the Baltic States, an international company operating in five countries. Maxima Group is the owner of the retail chains Maxima ( in Lithuania, Latvia, Estonia), T-Market (in Bulgaria) and of the Barbora e-grocery business operating in Lithuania and Latvia. Also owns Franmax, which mainly provides franchise and agency services. Maximais the owner of the Polish Aldik, Sano and Stokrotka stores. PGS is an organization of independent Retailers - Polish local chain. PGS was created on the initiative of the Warsaw Merchants and now brings together nearly 600 branches located in Mazowieckie, Podlaskie, Warmińsko-Mazurskie, Wielkopolska, Silesia, Kuyavian-Pomeranian, Pomeranian, Lodz, Lubelskie and Małopolskie. Representatives of the Minuta8 network are looking for new suppliers and presenting their offer to Fresh Market. Minute 8 is a grocery store chain. The chain has 72 branches and belongs to the Polish Supermarket Group which has been operating since 2002. Top Market, grocery chain, has existed in Poland since 2004. It has nearly 300 branches, located in 107 towns. There are 250 SPAR stores in Poland with over 12,500 in Europe. The owners of the chain stores are Polish entrepreneurs, originating from local communities. 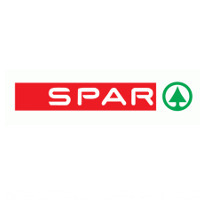 SPAR provides customers with high quality, low prices and a wide range of products, both known and liked brands as well as local brands. 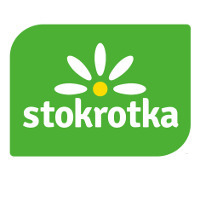 Stokrotka is the Polish supermarket chain and food and industry markets. It is part of the Emperia Capital Group, which is co-ordinated by Emperia Holding S.A. based in Warsaw (Maxima Group). The company was founded in 1994 in Lublin. The first retail outlet of this chain started its operation in 1996. In terms of number of stores, Stokrotka is one of the largest retail chains in Poland. Today it owns 450 stores in Poland. Tesco Poland boasts over 430 stores, from hypermarkets to small local supermarkets. It offers products to 3,700 Polish suppliers. 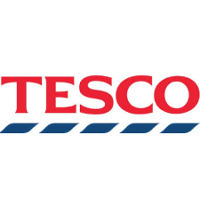 Every week, Tesco stores are visited by over 5 million customers. The first chain store was established in 2003 in Dnipra, Ukraine. 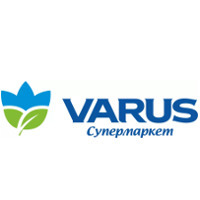 Currently, retail chain Varus includes 65 supermarkets in 13 Ukrainian cities, including Dniepra, Kiev, Zaporozhye. The co-owner of the Varus company is also the owner of the "Olvia" corporation, dealing, among agrobiznesem - growing greenhouse vegetables and selling them under the "Taste of Summer" brand. ALC `VITALUR` was founded in 1995 and today it occupies a leading position in the retail trade of the Republic of Belarus. The VITALUR retail chain includes 50 shops of various formats, 45 located in Minsk. During the year, it is planned to open 4 more stores. The company cooperates directly with suppliers from Spain, Netherlands, Norway, UK, Russia, Iceland, Finland, Poland, Lithuania, Latvia, China, Turkey, Egypt, as well South America and Asia, what allows our customers to offer a wide range of fresh fruits, vegetables and fish at the best prices. The car park includes 46 trucks: 22 refrigerators and 24 isotherms. Moreover, we make international cargo transportation to Lithuania, Latvia, Estonia, Poland, Germany, Russia, Finland.